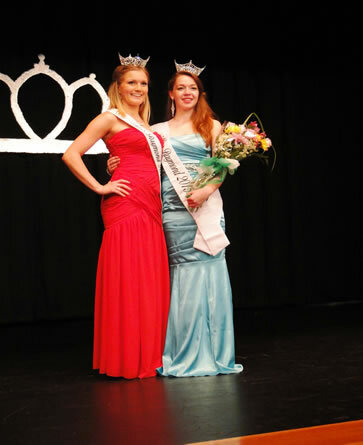 Katarina Vogel, 17 and a senior at Great Bay Charter School, is Miss Raymond of 2015. 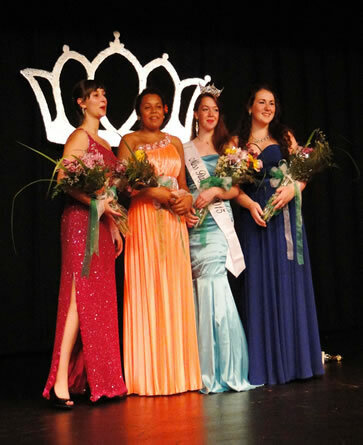 Her court consists of third place runner-up Savannah Witham, 15, a junior at Raymond High School; second runner-up Tovah Duffant, 13, a freshman at Raymond High; and first runner-up Catherine Riley, 17, a senior at Raymond High. Riley also received the People's Choice Award and the Miss Congeniality Award. Katie Masso-Glidden, Miss Raymond of 2014, and Alexis Cote, Junior Miss Raymond 2014, showed what a year in their Miss Raymond roles could contribute to poise and self-confidence as they participated in the pageant Thursday evening, July 9, at Raymond High School before a packed house. The National Anthem was performed by Lauren Campiglio, Miss Raymond 2006. 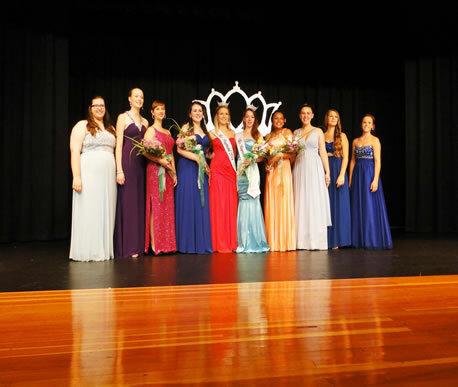 Masso-Glidden introduced the 2015 Miss Raymond contestants: Alexandra Doherty, Catherine Riley, Katarina Vogel, Savannah Witham, Emily Finnegan, Savannah Cooney, Samantha Reynolds, Alyssa Sylvia and Tovah Duffant. Three of the contestants - Finnegan, Duffant and Vogel - each held the Junior Miss Raymond title at one time. The contestants took part in an on-stage question competition. Judges were Jennifer Cully White, Sandra Cate Courtemanche, Peter Richard, and Brenda Gilbert. Masso-Glidden spoke about the highlights of her reign and offered advice to contestants: "Stay confident. When I first started I did not have as much self confidence but if you have faith in yourself and be the best you can be, you will be fine." She introduced a Little Princess whom she has mentored. She said she knew the 5-year-old through work at the Tuckaway Tavern and knew she had lost her mother at age 2. She took the girl under her wing, baby sitting and mentoring her. Masso-Glidden spoke about what this experience meant to her and how it had helped her grow. She also spoke of the close relationship and the fun she had working with Alexis Cote as Junior Miss Raymond when they attended Raymond events throughout the year. She ended her comments by encouraging the contestants who did not win to try again. The contestants then appeared dressed as they would like to be if chosen Miss Raymond, in a demonstration of taste and poise. Cote then performed a dance routine, followed by the nine Miss Raymond contestants presenting their talent routine. After an intermission the contestants, escorted by members of the Raymond Fire Department in full dress uniforms, showed off their evening wear. Lara Finnegan, Little Miss Raymond 2014, and her brother Sean also presented a baton twirling performance. Vogel said she was excited but the fact of her being crowned Miss Raymond still hadn't sunk in. "I'm really excited and Maggie (Maggie Paris, newly crowned Junior Miss Raymond) and I are already planning how to make our roles have a bigger impact on the community,” she said. “I'm wicked excited to be working with her, and everyone has been so supportive." Vogel is the daughter of Christina and Doug Vogel of Raymond.